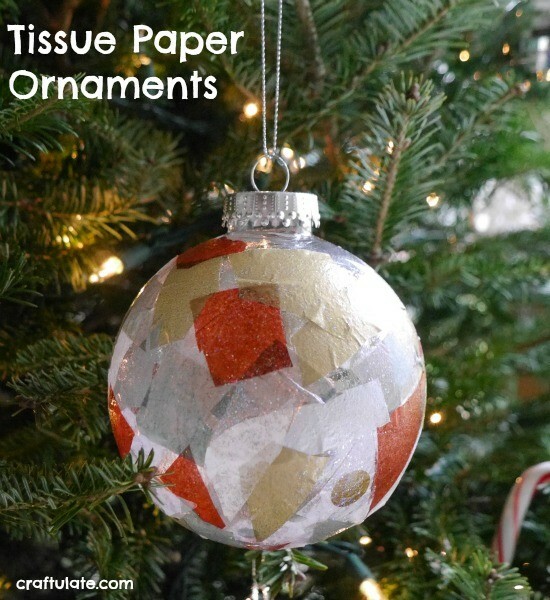 These tissue paper ornaments are a fun craft to make with the kids! 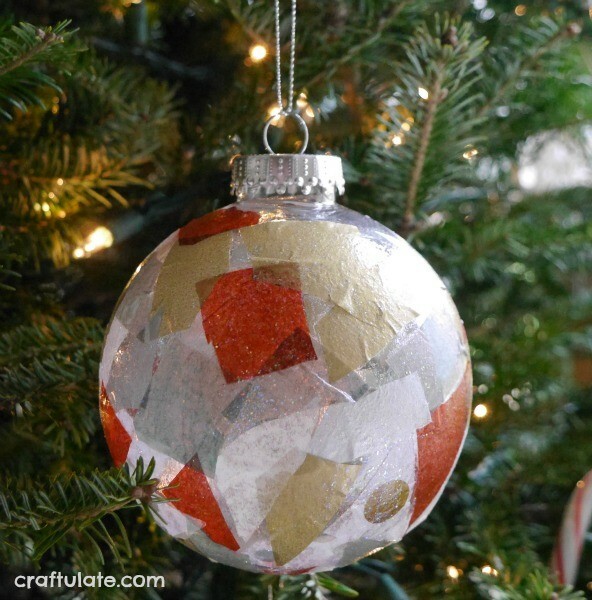 To make these ornaments, you’ll need just four things! 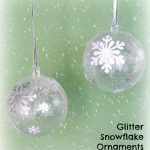 Ball ornaments – we used 83mm clear plastic ones but really any with a smooth surface would work fine! 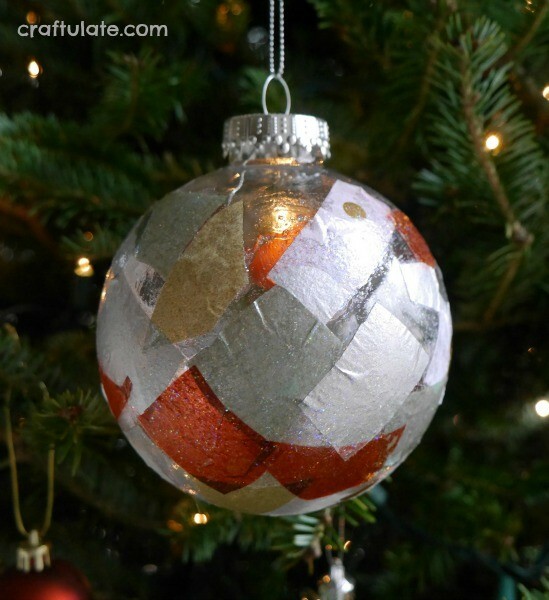 Mod Podge – we used the “extreme glitter” version! 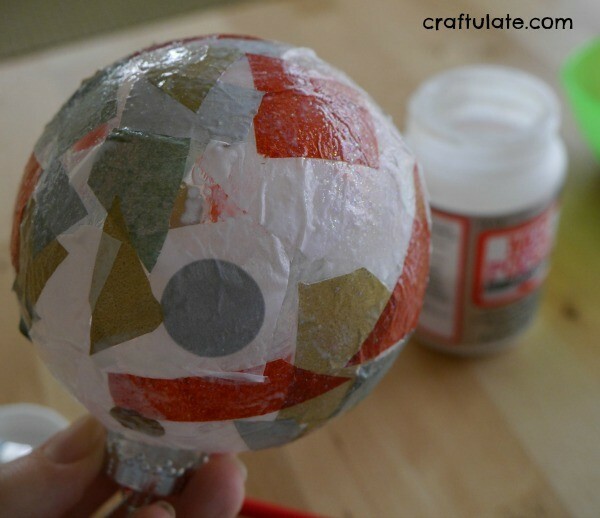 Brush the Mod Podge all over the ornament (OK so technically you need five things to make this craft if you include the brush!). F found it hard to hold the ornament and brush on the glue, so I set it in a cup for him. Start sticking the tissue paper all over the ornament. Overlapping and random is totally fine! 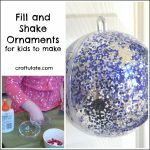 Once the ornament is completely covered (or when your child has had enough – whichever comes first), brush another layer of Mod Podge over the top. This will give the ornament a finished (and glittery!) look plus glue down any overlapping pieces. 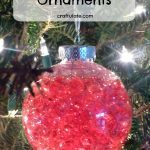 Hang the ornament somewhere out of the way so that it can dry completely. 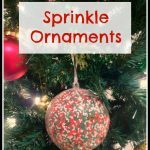 Whether the ball ornament is completely covered in tissue paper or not – it won’t matter because the gaps will still look pretty thanks to the glittery finish. If you’d like some more ideas on ways to use tissue paper with kids – check these out! Lovely way to use tissue paper! My kids would enjoy this! oh these ornaments are so pretty! Thanks for joining me in this months Process Art Challenge!